There’s lots to do when moving house in Ghent, and that’s even before you scuttle off to IKEA to start buying new furniture. If you’re completely new to the city read our articles about where to live and renting an apartment. But if you’re already living in Ghent and it’s time for a change of scenery, the following information covers how to go about the move, as well as how to update your address. For the process you will need your verblijfskaart (resident’s permit) and the PIN code that goes with it. Online via this link (Dutch only). By going in person to your local Loket Migratie (the Ghent one is on Woodrow Wilsonplein). By the way, Belgian nationals use the Loket Verhuizen. After you have done either 1, 2 or 3 above, the police will come around to your new address to confirm. They will not tell you in advance when they will be coming. It often takes a few attempts before this part is done. When they call around they may ask to see your ID card/passport and ask you some basic questions. They also need to be convinced that you are actually living there rather than just staying with a friend, so be prepared to give them a house tour. Note that lots of people move in September so this part of the process can take longer at this time of year. Once the police have confirmed your new address you’ll get a letter. This will invite you to visit the Loket Migratie to have the information linked to your identity card (and car number plates) updated. Do my housemates/kids need to do this too? No, you can make one application for everyone who’s moving and the police will call around once. What if the previous tenants are causing me issues? If you suspect that other people are incorrectly still registered at your new address (e.g. the previous tenants have not updated their domicilie), you can report this to the Dienst Burgerzaken who will involve the police. If your previous tenants are still being contacted at your address for unpaid bills, for example, this is the best way to handle this issue. If you can understand Dutch, then using this ‘moving house wizard’ might be a good place to start. It asks you some questions about your situation and then provides a list of steps to get switched over. Water provider, which is Farys in Ghent. This form (Dutch only) needs to be filled in, but if you’re renting it may already have been handled by the landlord/estate agent, so check first. If you are self-employed, your ‘headquarters’/administrative address gets updated automatically, but your ‘trading address’ (usually the same if you are working from home) does not – and you need to pay the full registration fee again to change that. You can apply online to have your post redirected for a given number of months (3 months costs 26.95 euros, and you pay for the house, not per person). This service also updates other things for you like your Delhaize and IKEA loyalty cards. If you’re moving within the EU (at least 250km from Ghent), Truck and Man might provide the service you need. English-speaking Nate will carry, load and drive your belongings (plus you and your pets) to/from Ghent. You’ll find example prices in six volume size options on his website. Just fill in the online enquiry form to set a date. If you will be using a van or lift to assist with moving, and you’ll need to park it outside the old/new address, you need to have a permit and put signs up. If you are employing a moving service, they may already have a permit, so ask before you apply! You can apply for a permit for a vehicle(s) of up to 25m in length for a duration of 2 days for a house move. To apply you need to fill in this form and email to insi@stad.gent at least 10 days before your moving date. You will receive the permit via post. You will need to hire the signs from a private company, like https://www.parkeerborden.gent/ and the signs need to be put up 48 hours before the start of your 2 day permit period. 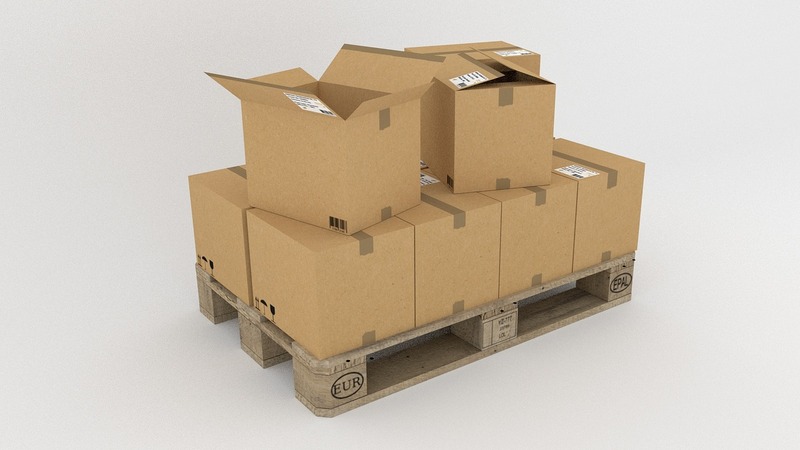 https://www.kodibox.be: This company hires out boxes, trolleys and labels for two-week periods. For example, 30 small boxes will cost you 90 euros. This includes delivering them to you and picking them up after you’re done with them. IKEA sells boxes (2.99 for two). Just search for Verhuisdoos on their website. Like most places around the world, renters will most likely need to provide written notice of their termination of contract, a certain number of months in advance, in order to avoid paying a fine. This will depend on your contract so read it carefully if you’re planning to move. Also if you are/were renting, you’ll have probably paid a deposit to a 3rd party like Korfina. You should contact them yourself to start the process of getting your deposit back. Don’t wait for them or your estate agent/landlord to contact you. It is the responsibility of the tenant to get the boiler checked every 2 years (for gas). You will have to organise and pay for this yourself at the end of your tenancy if one is due. If you cannot provide a renigingsattest and verbrandingsattest (the documents that the person doing the check provides you) when requested, the landlord/agency may not return your deposit in full. A very complete checklist Heather!